The deadline for entries for the Campaign Big Awards, which showcases and celebrates the best of British commercial creativity, is looming with the first entry deadline at 23.59pm on 24 August. Late entries will still be accepted after this date up until 7 September but will be subject to a late fee. This year's Campaign Big awards will feature new product categories, awards for "the Best of the Best" agencies by media platform, and the overall Campaign Big Agency of the Year to be named on the night. 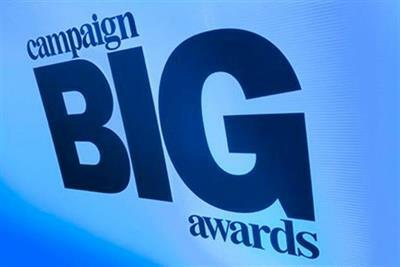 The revamped Campaign Big Awards take place on 29 November at Old Billingsgate. The awards are being judged by a panel of top creative talent, chaired by the chief creative officer of Mr President Laura Jordan-Bambach and supported by Ana Balarin, the joint executive creative director of Mother; Richard Brim, the chief creative officer of Adam & Eve/DDB; Alex Grieve, the joint executive creative director of Abbott Mead Vickers BBDO; and Caroline Pay, the joint chief creative officer of Grey London. There are now 16 product categories for which agencies can enter their best work that has run over the past 12 months. These are: Alcoholic Drinks; Automotive; Charity, Consumer Durables & Furniture; Energy; Fashion, Clothing, Footwear & Accessories; Financial & Legal; Grocery & Soft Drinks; Health & Beauty; Household Goods; Media & Entertainment; Online Services; Public Service; Retail & Restaurants; Sport Travel & Leisure; and Telecoms & Technology. In addition to the product categories, the Best of the Best will showcase the best work across the following channels: Digital; Experiential; Film; Integrated; Outdoor; Print; and Radio/Audio, with one overall winner in each category. The Campaign Big Agency of the Year will also be named, awarded to the agency that receives the most number of nominations and awards throughout the evening. For more details visit the Campaign Big Awards.